Some advice on managing your condition may be all that you need to help you. Initially it’s helpful to restore balance to your day-to-day living. This is done by establishing a pattern and a level of activity and rest that is achievable for you on a daily basis. Starting with some gentle, regular, activities you can gradually begin to rebuild your stamina. 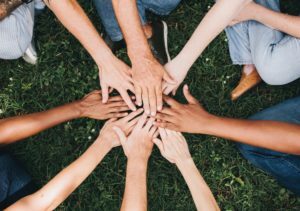 As this condition can be very isolating, group programmes can be especially helpful in providing the opportunity to meet with other others have experienced similar difficulties and identifying together the best ways forward. These programmes run in different localities around Oxfordshire throughout the year. Each programme has someone attending who is already recovering from CFS/ME and who can share their experiences. For people who are more severely affected or unable to attend a group – we will offer an individually tailored activity management programme. This can be delivered through home visits, phone, Skype, email or audio files.